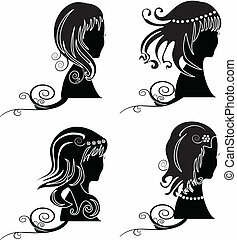 Beauty hair girl logo. 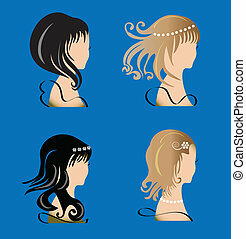 Beauty face girl silhouette logo vector. 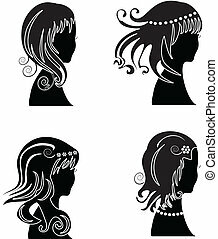 Girl face with swirly leaf hair logo vector image.